Look out the window. It’s a dreary sight isn’t it? If only you had a new job, something where you looked forward to waking up each morning, birds singing, eggs frying, coffee bubbling away, ready to start your day a-singing and a-frolicking through the meadows on your way to the perfect job. Okay, so for most people working life isn’t all fried eggs and margaritas, it’s a way to pay the bills and keep your toes warm. But that’s no reason why you shouldn’t also have a job which keeps you awake, even exhilarates you now and then. The problem is that it’s sometimes hard to get your foot in the door, even if you have the experience and enthusiasm you’re sure an employer is looking for. Well think about it for a moment: the very first thing an employer sees of you is your CV, and if that’s a bit duff then you’re not going to cut the mustard for an interview. We’ve all been there: you want to tell the employer what you’re all about but you don’t want to seem stuck up or self congratulatory. Just how much should you say? What shouldn’t you say? Applying for jobs can seem a world of enigmas wrapped up in mysteries, particularly if you’re a bit out of practice at writing a CV. Well worry no more, because we’ve scoured the virtual metropolis of the internet to find the best of the CV writing services that are available, all in the hope that you’ll find that coffee-bubbling job of your dreams (or something close). “What is a CV writing service anyway?” we hear you cry. Wipe up those tears, chum, we’re about to tell you. 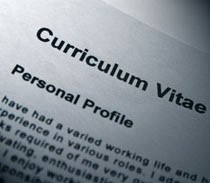 A CV writing service is exactly what it says on the tin: you tell them about yourself, what you’re looking for, your experiences and skills, and a real-life human being (a writer no less) will write you a top-notch CV. It’s that easy. Of course there are differences between the services available, not just in terms of price but in terms of how much attention they pay to the look of the CV, the quality of the writing, how quickly they can produce it, how many extras are available and whether or not they offer you any advice for the future. What we’ve done is taken a big old look at the best of them and then written up our findings in the form of reviews. You’ll find a star rating which gives a quick impression of the key elements of our review and how each of the services performed. You’ll also find details of the potential cost of such services, as well as the various features and extras they provide. Finally you’ll find a write up on each CV writing service which provides some more detail on the pros and cons, ins an outs, bacon and eggs. In The Terminator movie series, killer robots have been designed to eradicate human beings from Earth. In Star Trek a cybernetic-humanoid life form known as Borg wants to assimilate all sentient species in the universe. In I-Robot, a servantile robot race gains self awareness and orchestrates a revolt against their careless human masters. But in reality computers merely want to help you create a professional looking CV or resume. Okay so the reality of what computers are capable of is a little less exciting than in science fiction movies, but if you’re anything like any of the millions of other people who struggle in writing their resume (or simply enjoy being alive) then you’ll be happy with that fact. CV and resume writing software is essentially there to help you to produce a professional CV or resume with as little fuss as possible. It does this through asking you for information and then using set phrases and keywords to make it sound more business-savvy. Far from sounding as though it has been written by R2D2, this software ought to vastly improve the standard of English used to better explain your skills and experience to a potential employer. It will also take your information and put it into a template so that it appears readable and professionally designed. There are various other services that such software provides, too: whilst some software packages are available to download, others are primarily based online and allow you to download your new CV or resume in a variety of digital formats, which you can then email, fax or print off. They advise you on the sorts of things to include, give you examples, help you find jobs and sometimes even provide interview advice. The big advantages of using CV and resume writing software over hiring a professional writer for assistance is price and control. Since there’s no human needed to do the work for you this option is far cheaper in general, but it also means that you are able to take things at your own pace and to edit your document as much or as little as you like. This puts the power in your hands. No doomsday scenarios here! We’ve tried out a lot of the best CV and resume writing software packages available on the market today in the hope that we can help you to make a more informed decision. As such we’ve come up with detailed CV and Resume writing software reviews. Whilst some focus on style and aesthetics, others may be better for improving your written English. It’s up to you to decide what you need and how each of these software packages can help you based on what we’ve said about them. If you take a look at our reviews you’ll see that Resume Companion is our highest rated product in this category because it offers flexibility for a range of occupations and templates. Pongo Resume comes in a close second place because it pays attention to specifics and provides extra help and tips on its blog posts. In third place you’ll find My Resume Online, a completely free service which offers some useful features that you’d only expect from a paid service provider. There are plenty to choose from, and you’ve a good while until Judgement Day, so good luck with the hunt. Hasta la vista, baby. That’s another resume put into the “no” pile at Imagination Industries. It wasn’t even that C. Ashley didn’t have the necessary experience, they just weren’t able to properly express it in a way that the employer wanted to hear. It can be so easy to under sell yourself in a resume, or to forget that basic bit of information an employer needs to hear, or simply to not come across that well because you’re not the best writer in the world. In this harsh economic climate if you’re looking for employment then you need to stand out from the crowd, and that means making sure your resume doesn’t get put into the “no” pile. If you’re looking to enter the job market or simply want a change of direction, but you’re not really that confident when it comes to writing a resume, then there’s help at hand. Resume writing services offer professional assistance in creating the perfect document to help you secure an interview. The key thing about these websites is that you give them the information they need (usually in an online form or telephone call) and they then have a professional writer create your resume for you. All you have to do is communicate with them, check it over and pay the bill. A number of these sites will also offer you the opportunity to have some careers coaching, to have your resume distributed around employers, or to have cover letters or thank you letters written and distributed for interview purposes. As such there are a feast of extras that are up for grabs if you need them, as well as interview and job application advice. We’ve looked at all the key players in this market to help you decide which one might be best for your needs. Whilst some sites specialize in a particular job specialization (such as medical staff or ex military personnel), others offer a bit of pazzazz in the form of snazzy, eye-catching templates and writing styles. After careful consideration we felt that The Resume Center deserved our number one review spot, with great value for money and a generally superior end product. Meanwhile Pongo Resume scored very highly, raking in 2nd place with its automated writing systems which help to develop what you’ve already written into something more professional. But there are plenty to choose from, so it’s well worth taking a little time to read over some of our reviews to find out which service might help you land your dream job. Best of luck in your hunt for a new career, we hope to see your resume at the top of the “yes” pile soon. Where did we come from? Who were our ancestors and how did their lives influence who we are today? These are some of the greatest and most important questions we can ask about our lives and the lives of those that came before us. Historically it’s been rather difficult to trace your lineage: files were inaccessible, lost or restricted, people didn’t have access to libraries or were even unable to read and write. Of course some of those issues will never be overcome but now, with the aid of the internet and genealogy websites, it’s easier than ever to find out who you are and where your ancestors came from. The stories of your family history really can be amazing. 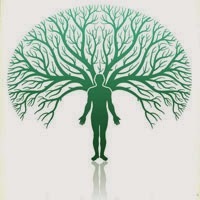 There’s a reason you’re alive and that is that your ancestors were able to pass on their genes. This hasn’t always been easy, people had to toil, work hard and make difficult decisions just to survive. Whether it’s the simple property information of an 19th century farming community, or a more recent military record of your long lost uncle who lost his life as a hero in the Great War, genealogy websites can open your eyes to the fascinating world of your inherited past. So what are genealogy websites (or family tree websites, as they are also known) and who might want to use them? Well essentially they are giant databases of information about people, places and events, which you can search through. The simplest searches might just be to find a relative whose name you know but want to find out more about. These sites often contain scans of official documents, some even contain photos and pages of memoirs that have been found. Other sites allow you to build a family tree, utilising the research you’ve produced to develop a real picture of what happened to each of your family members, with real evidence to go along side it. As such genealogy sites aren’t just for historians, they’re for anyone who has an interest in tracing the events that preceded them and the people who played a vital role in their existence. This is all made so much easier by the use of the internet, which will allow you to view thousands, or even millions, of documents and facts, without even having to leave your armchair. 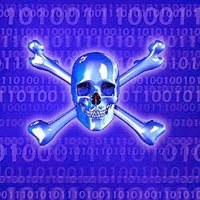 Of course, information is big business, and many of these sites will be looking to make a few bucks from its users. Generally speaking the prices charged are very fair, and you’ll often have a choice between paying for individual copies of documents or having unlimited access to specific genres and categories for a certain amount of time. Some sites also offer the services of professional historians, who will do your research for you, or will even send a swab to take a sample of your DNA to test as a way of telling you where your very ancient ancestors originate from. Meanwhile specialist sites (such as Jewish history or African American history) can provide very accurate information free of charge. It all depends on what you’re looking for, how much time you have and how much money you’re willing to spend. Our genealogy website reviews take into account the most vital features of these sites to help you decide which one might offer the best service and value for you. You’ll notice that our number one rated genealogy website, Ancestry.com, has been at the forefront of genealogy research for many years and is relied upon by millions of researchers. The site is so useful that its sister sites, Ancestry.co.uk and Ancestry.com.au ranked second and third in our ratings. Beyond those you’ll also find a range of other sites that offer varieties of services and specialisations, tailored to groups such as religious sects, geographies, jobs or even by the sorts of properties they owned. Your family history is as unique as you are. Genealogy sites offer you the opportunity to find out who you are and where you came from, utilising technology so that you can perform such research like never before. Pick up the phone. It’s Rajit from sales again. Yes, he’s trying to explain his idea for integrating marketing with finance. Again. See, he spoke with Juliette and she thinks it’s a good idea. She had a good few things to say about it, but Rajit can’t quite remember what they were. Anyway Yoshi suggested that you should all get together to discuss it properly, face to face. Only problem is you’re all rather busy, and you all live in different parts of the world! Now normally this would mean you’d all have to set aside a week in your diaries, each travel to a common place, discuss it, and then report back to your department. Well, put away those stress balls and get ready to pencil back in all those other arrangements that you’d wiped from your diary, because web conferencing can help solve all these problems. 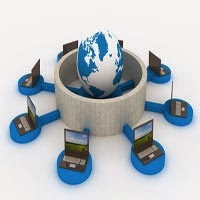 Web conferencing is essentially an online meeting. You simply set up a meeting time and your colleagues join in using their computer and microphone (or in some cases a telephone). But it’s not only for business meetings; you can also use it for hosting seminar groups or simply to talk to family and friends who are elsewhere. Aside from just talking to one another, a number of web conferencing services also allow you to see each other using web cams, to share files - such as photos or projects - and to work collaboratively on them. So just imagine that you, Rajit, Juliette and Yoshi (since you’re all best friends now, right?) need to talk this big merger over but you also want to show them a few statistics on graphs you’ve produced, as well as a video you found which helps to explain some of the difficulties. No problem! If you choose the right web conferencing service for you then all of this is possible, and more. We’ve tried out a large range of services that are available to help you decide which one might be the best one for you, and our findings are lovingly written in a series of web conferencing reviews. We’ve taken all the most important elements into consideration, not simply the price but also the reliability of the service and the features it has to offer. If you’re in a bit of a hurry then we’ve arranged our reviews based on how highly we rate them using a star ratings system, but if you have a little more time to look at the costs, features, and various pros and cons of each, then you can read through our more comprehensive full written reviews. Whilst we felt that GoToMeeting offered the best service and value, primarily due to its user-friendly interfaces, reliability and range of features, there are also others you might consider. Click Meeting, for example, received our second place for its range of packages to suit any budget, whilst Skype Conferencing (our number three review) allows you to talk using microphones for no charge at all. But price isn’t everything, and it’s all about what kind of service you’re looking for and how much you are happy to pay for it. If you’re using web conferencing for business meetings then the extra features really could be a bit of a blessing. Take a look at our reviews and see what web conferencing has to offer you, before Rajit calls again! So you’ve just spent all your hard earned money on a new computer. Congratulations! The world is your proverbial oyster, so fetch the oyster knife and the vinaigrette, it’s time to chow down on one of the greatest communications tools ever invented by human kind: the internet. But wait a second, what’s that? You don’t want your shiny new computer ruined by hackers and viruses? Very wise Sir (or Madam), might we recommend a glass of chilled chardonnay and an internet security suite? Internet security suites aren’t just for new computers, they’re for anyone who uses a computer and wants their information to stay safe. They are essentially complete software packages that help to protect your system from harm when you’re using the internet. Unlike software which is solely an anti-virus, internet security packages cover a much wider range of threats, including malware, hackers, email viruses and instant messager problems. They do this through a variety of methods including putting up a protective firewall (which stops dangerous activity accessing your system), performing scans (to detect problems before they occur), cleaning a system (to get rid of a problem if it has infected your system) and making security checks as you browse the internet. We use a star rating system to tell you about how effective each product is, and the potential benefits or pitfalls it might include. We also provide a list of its features, costs and then a write-up from a specialist editor, which should give a good idea of how it ranks amongst its competitors. The top products in this category offer great value for money for a product which should protect your system and information against the vast majority of online dangers. Norton is definitely our preferred security provider here, with Norton One 2013 ranking in 3rd place due to the fact that it allows you to protect up to 5 machines, which makes it great for portable devices. In a close 2nd position was Norton Internet Security 2013, which is a more budget-friendly version of our number one product and subsequently offers a few less features. Meanwhile, Norton 360 2013 gets our number one review as it combines different protective technologies and products to give you a great range of features without impacting on your computer’s performance. There are plenty of choices for you to check out, a smorgasbord, if you like. We’ve got extensive internet security suite reviews on each product that’s available in this category so pull up your chair and take a bite. Bon appetite!